I like this twist on mirrored closet doors! The molding is interesting - it adds even more depth to the room. 1 Response to "MIRRORED CLOSET DOORS TWIST"
love that! 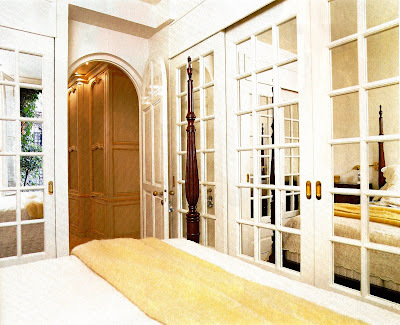 they class up the idea of mirrored doors in a bedroom with a 'window' look. wish i had those!